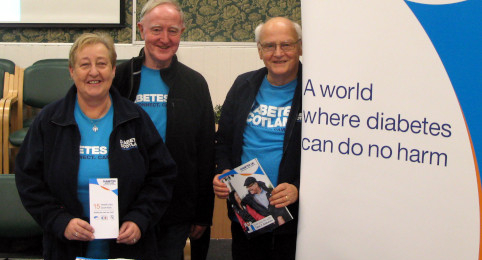 The group provides a chance for people with diabetes and their families/carers to get together for support and information about diabetes care and treatment. It is run by a small group of volunteers who plan the meetings and arrange for speakers to talk on subjects usually related to diabetes. 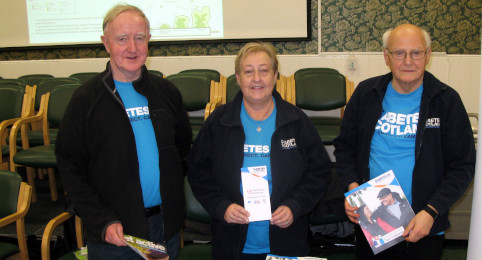 As part of a national charity 'Diabetes UK' we can provide their information leaflets on a range of topics as well as information about their many services. We meet at the Croftfoot United Free Church of Scotland Hall, 349 Carmunnock Road, Glasgow G44 5HH. Our meetings take place between 7:30pm and 9:00pm on the third Wednesday of every month.